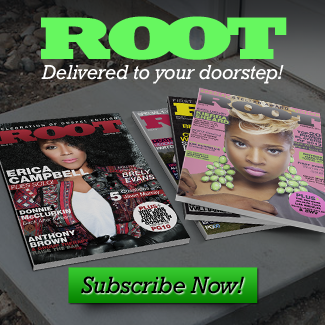 ATLANTA, GA (Wednesday, October 17, 2018) – – The 49th Annual GMA Dove Award winners were announced last night during the awards ceremony at Allen Arena on the campus of Lipscomb University in Nashville. 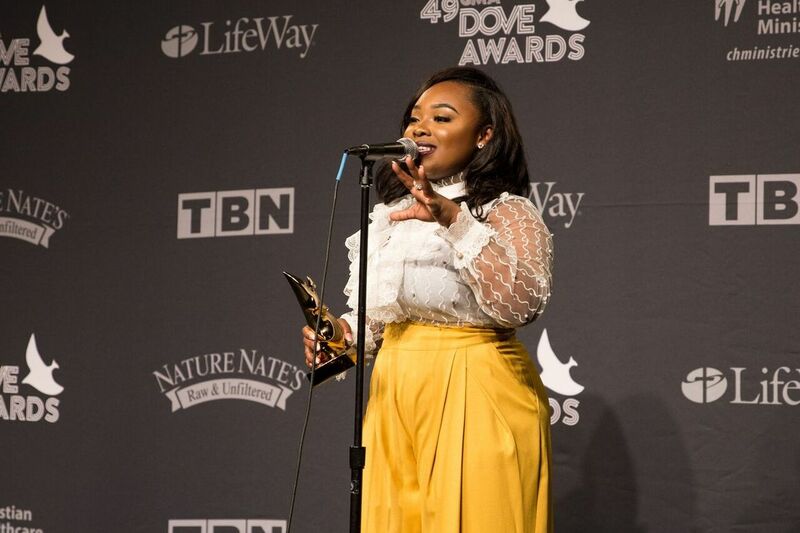 Lunjeal Music Group independent recording artist Jekalyn Carr earned her first Dove Award win for Traditional Gospel Album of the Year for her Billboard #1 album One Nation Under God (Lunjeal Music Group/New Day). 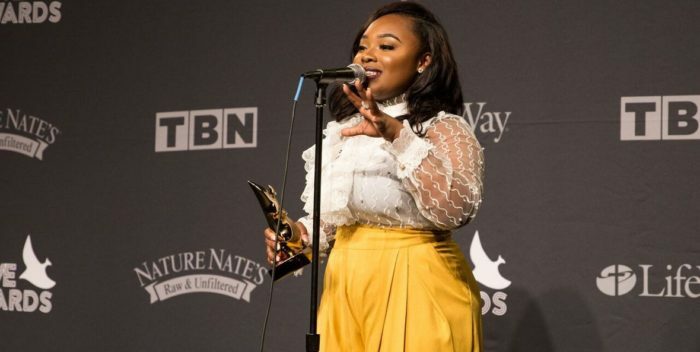 In addition to her win, Jekalyn performed her chart-topping hit “You Will Win,”which spent 4 weeks at No.1 on Billboard’s Gospel Airplay chart. Tuesday’s show was taped and will air on Trinity Broadcasting Network (TBN) on Sunday, October 21 at 8 p.m. CT. TBN (Trinity Broadcast Network) is a global stage that reaches more than 100 million homes in the US and is the world’s largest faith-and-family television group, airing a broad range of church and ministry programming.